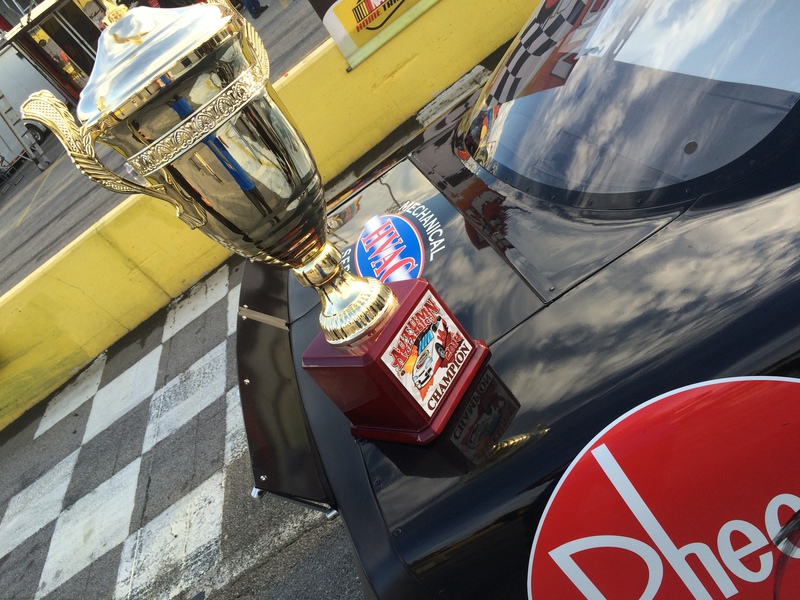 Newport News, VA – “Tyler Ankrum didn’t win the Autumn Classic. Wait wasn’t that race like a week or two ago,” were probably the words that came to mind when reading that headline right? Yes I know things have been a little behind this off-season, yes The Autumn Classic is in the books, and yes you probably missed the Hard Charger section of the title. However I believe 100% if there was a late race caution you would have had to keep your eye on that black #58. 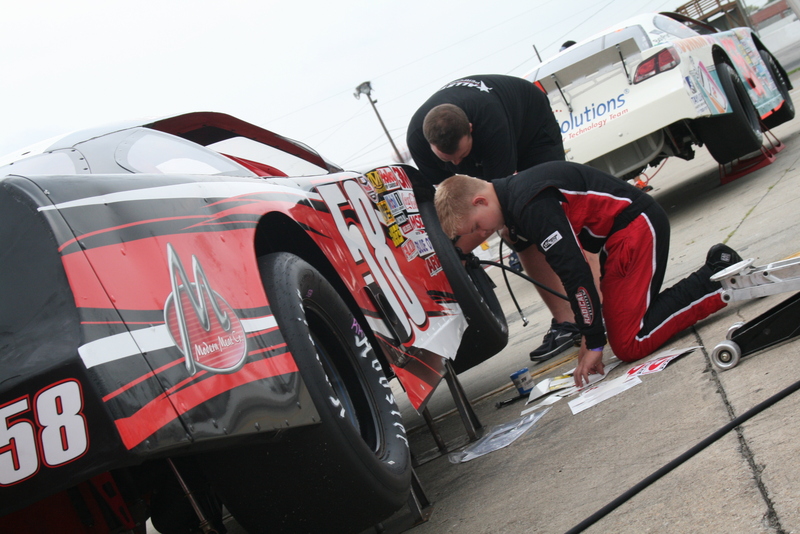 Due to a last-minute engine swap, Ankrum was forced to take the green flag from the rear of the field. In a field stacked with loads of talent one could say the odds were no longer in his favor. However, if Tyler is anything like myself at that age, I found myself working harder towards those things people said I would never accomplish. Elizabeth City, NC – What better way to wrap up a season than inviting all your members out for a backyard style cook out, a trophy presentation, and some good times out on the track. The Albemarle Kart Club Association was established back in 1978 for those looking to get their start in racing as well as those who have been racing. 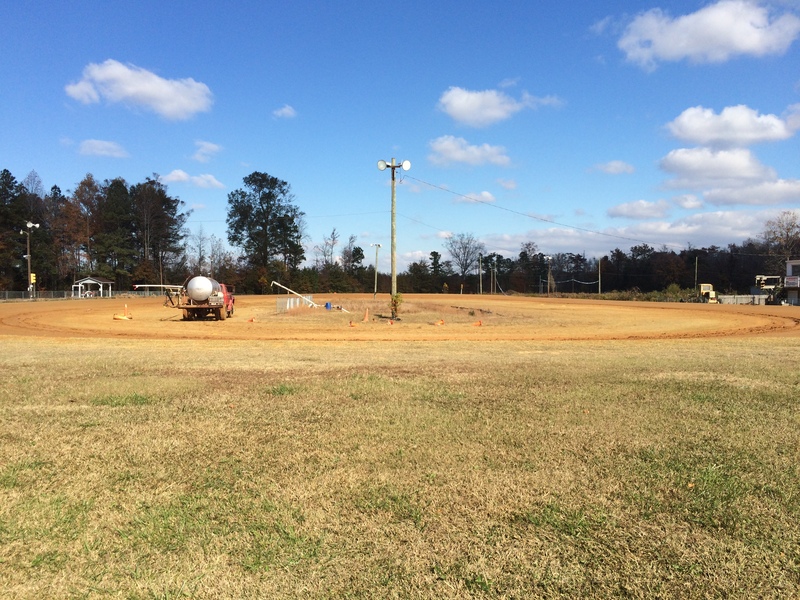 Located on the Dixieland Motor Speedway Complex, practically in the middle of nowhere, you will find the slightly banked, dirt oval go kart track that has been described to me as a drivers track. Didn’t matter who you were, member, n00b, crew chief, or wife you were invited to come enjoy the festivities. Even yours truly was invited to hop in a kart and give her a shot thanks to Paul Maxon & Doug Warren for letting me use their equipment. Only four semi-organized race was on tap for the day – a champion’s race with an interesting twist, no literally they installed a bus stop on the back stretch AND THEN made them run the track backwards, a crew chief race (the race I ran in), a powder puff race, and the highlight of the day the Champ Karts. Lucama, North Carolina – New date same great race! The best Late Model Stock Car drivers in the region loaded their haulers up and headed south just outside of the little town called Kenly. Another $10,000 cardboard check to hand out to the one driver that can outlast all the others. Now lets be honest, the heavy favorite to win this race was the two-time National Champion, Lee Pulliam of course. What wasn’t expected was Nick Smith taking the pole away from Pulliam for the feature. Another name going into the 200-lap race I was looking out for was Tyler Ankrum. Proven to be a strong wheelman, had to go to the rear of the field due to a last minute engine change. In a race I would not deem as exciting in my opinion, but it was certainly memorable. Four of the top five finishers I am pretty sure could not even drive personal cars to the track they are so young. Don’t get me wrong, not taking anything away from these drivers, if anything that should be more of a compliment. At fourteen and fifteen years old I was only sitting in the stands wishing to wheel a car, now we are finding more and more in the top five! The green flag was displayed to the field and they were set free to wage war for 200 laps. Well actually in races of those magnitude most of the time they are set free to ride around for 150 or so laps then get down to business towards the end. Just like any 200 lap race it was all tire management early on. Other than Pulliam making it by Smith to take the lead the first forty or so laps were cars riding it out, getting some heat in the tires, getting the feel of traffic. Mooresville, NC (11/11/14)– Officials with Championship Auto Racing Series (CARS) are proud to announce the transition of the Pro Cup Series into the birth of a new dual event featuring the CARS Late Model Stock Car Tour and the CARS Super Late Model Tour that will both begin competition in March 2015. The two individual tours will run on the same night, at the same exact facility, for just one ticket price, giving fans a true “best of both worlds” experience when it comes to pavement short track racing. The newly formed tour will award $43,000 in combined purse money each and every race plus additional contingency cash and awards to be added over the off season. The Super Late Model event winner will walk away with $5,500 while the 30th and final finisher each week receives $550 for their efforts. On the Late Model Stock Car side of things each winner will take home a $4,500 winner’s check with the 30th and final finisher receiving $450. The season will feature ten events throughout the 2015 calendar year with a distance of 150 green flag laps for both the Super Late Models and the Late Model Stock Cars. Each class will utilize just four tires for the race each event.